The iPhone 5 has already come out, but we wanted to wait until there was enough “in the wild” data about it to really review it here on the site. Keep in mind: this isn’t going to be some massive update if you’re used to the iPhone 4S. However, if you’re coming from the iPhone 3GS, then this is a beauty to behold. You’re going to actually get a much more responsive phone overall, which is what a lot of Apple fans were looking forward to. When you unbox this phone, you’re going to enjoy the good looks. It’s a lightweight phone designed to be as thin as possible and still be pretty easy to navigate with your thumbs. This is pure touchscreen action, and it’s a nice experience. Battery life was one of the top issues that Apple fans were wondering about. The reality here is that battery life is going to be what it’s going to be, which means that you need to always be thinking about real time usage versus manufacturer’s data. It’s all about how you use your phone. If you’re the type of person that is constantly connected to data, then you might get a lower battery life than someone else. Generally speaking, “normal”, real world usage will get you eight to nine hours of battery. That’s pretty lengthy, considering that average use for most people is going to include surfing the web, checking email, sending a lot of iMessages and otherwise having a good time. Your phone was designed to be used to the fullest. If you aren’t doing that, then you’re going to be disappointed across the board. 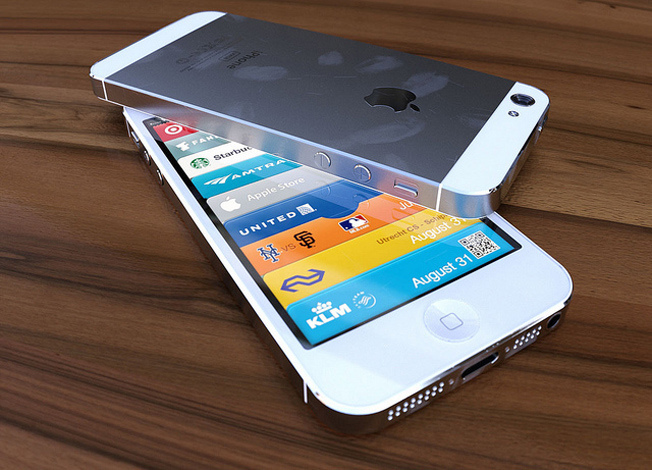 The iPhone 5 offers Wi-Fi connectivity and 4G LTE, as well as 4G HSPA+. According to the in the wild reports we’ve collected, there have been a few problems plaguing the iPhone 5. There was a problem with Wi-Fi, but there was an update that fixed that. There’s a few recurring issues with iMessages, but your mileage may vary here. Camera: you have two cameras, front and rear. The rear camera is most likely what you will turn to the most, but the front facing one is great for video conferencing — FaceTime, anyone? You’ll have Panorama mode, which lets you take those wide format photos that are popping up as being all the rage right now. There’s also good connectivity with this phone. You can switch back and forth between HSPA+ 4G and 4G LTE. On AT&T, this means that you can be on the phone and look at the web at the same time. Verizon doesn’t have this at this time. A few people have asked about Siri, so we’ll be brief here. Siri has had bad reviews across the board. It’s a good feature set on paper / in theory, but in the wild it really doesn’t live up to the hype. This is the “hot phone” of the year for many people. Your mileage may vary but it’s definitely a phone that you want to check out for yourself. Try it out and see what works for you. Good luck! Apple’s been having some bad news lately. A judge has decided that Apple cannot sell phones under the iPhone name in Mexico. However, before you start feeling sorry for Apple right now, it’s time for some backstory. Apple took on iFone, a Mexican telecommunications company in order to protect their trademark. Unfortunately, it’s made Apple land in hot water because there is strong evidence of prior use before Apple came along. We’re talking about iFone registering its trademark in 2003 and Apple registering theirs in 2007. They tried to come after iFone, and iFone decided to fight back. They sought damages, which may end up being 40% of iPhone sales revenue in Mexico. In addition, iFone wants to keep Apple from having anything under the iPhone name in Mexico. The judge has denied Apple’s injunction to sell under that name, so it’s going to be tough sledding ahead for Apple in Mexico. The iPhone 5 has been selling like gangbusters, so it will be interesting to see what happens from here. Just another piece of tech news that you might have missed, so we’re Bringing it Back as usual. 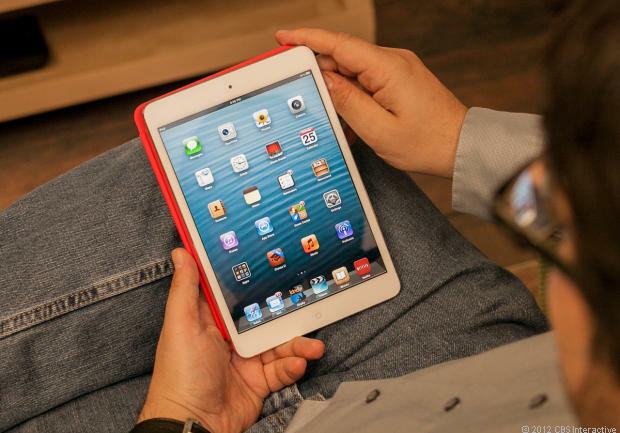 Are you excited about the iPad mini? You definitely should be! There’s a lot to love about this little tablet, but there’s also a few things that could have been better. Some tech fans, even long time Apple fans even, have commented that the iPad mini could have really hit it out of the park. Instead, it felt like Apple traded on their brand… and the rabid fanworship they’ve gotten when it comes to all of their previous products. Still, we wanted to cover the iPad Mini while it’s still hot, so on with the review. You be the judge! The first thing that you have to realize is that the iPad Mini is 7.9 inches, and fits nicely in the hand. This is a smaller iPad, but it has its own merits. It’s not just going to be the 10 incher scrunched down. You actually get a nice viewing experience. Right from the start, the iPad mini looks good. Early adopters noted that it feels more like the iPod touch than a scaled down iPad, which can be a good thing when you think about it. The decrease in weight definitely matters. The Wi-Fi only iPad mini is 308 grams — literally 0.68 pounds. That’s roughly half the weight of the newest iPad. It’s also very thin, at about 7.2mm and measuring 200 x 135mm. You’re getting a 1024×768 resolution, which means that everything is easy to read. The layout of the navigation is solid. You have the volume and orientation lock switches on the upper part of the right side. There’s also up and down buttons, which is different than the controls on the iPad. If you’re worried about sound after seeing those two rows of holes to let the device’s sound out, don’t worry — you have plenty of good sound here. It’s not like you’re going to be able to replicate your local home theater system, but there’s nothing wrong with getting something that you can really use on the go. That’s the entire point of the iPad mini, isn’t it? Keep in mind that when it comes to the display on the Mini, you’re not getting Apple’s signature retina display. There is a nice pixel density here of 163ppi, but it might not be enough to satisfy you if you were hoping for super eye-catching color. Text isn’t as sharp either, but it’s not like everything is going to be a complete blur. Let’s move on to performance and a little bit about that all important statistic, battery life. Under the hood, you’re getting a dual-core 1Ghz CPU with 512MB of RAM, which is what you got in the iPad 2 as well. Battery life can be a toss-up — generally around 12-13 hours under normal operating conditions. Obviously, this would mean that you’re turning on Wi-Fi while using the device. If you can live without battery draining Wi-Fi, then you’re going to have a longer standby than you would normally have. We like to quote real world battery life figures from actual use, which usually means Wi-Fi and camera usage. Speaking of camera usage, the iPad mini has a modest set of cameras. You’re going to get a 5 megapixel camera in the back with a nice f/2.4 lens. There’s a 1.2MP FaceTime HD camera on the front, which lends itself well to video conferencing needs. Skype and FaceTime, anyone? You’re not getting an 8MP camera like with the iPhone 5, but this shouldn’t really take you by surprise by now. This isn’t the iPhone. It’s not the big iPad. It’s something that was designed for the form factor to wow you. There might be some let downs here, but that’s just part of the process, really. No device is going to be everything to everyone. There have been some obvious comparisons made between the mini and the Nexus 7, but the two devices aren’t in the same league. The Nexus was designed to be a budget device. As you might have guessed, Apple really doesn’t do budget. They handle other things, like giving you some high quality features to drool over. Even though you didn’t get a Retina display, there are little details that definitely show that Apple is thinking about people’s needs in a much more expansive way. Unfortunately, the greater tech population at large has Apple on a pedestal, which means that any launch is going to leave more than a few people disappointed. That’s the name of the game. If you can handle a smaller form factor along with a little less display, you’re going to have a winning device. Still, if you need more screen real estate, then the new iPad will probably be more or less your speed. We hope this review helps — enjoy! Penpower Technology LTD is well known in the world as a developer of tremendous OCR applications like WorldCard Contacts and WorldCard Mobile. 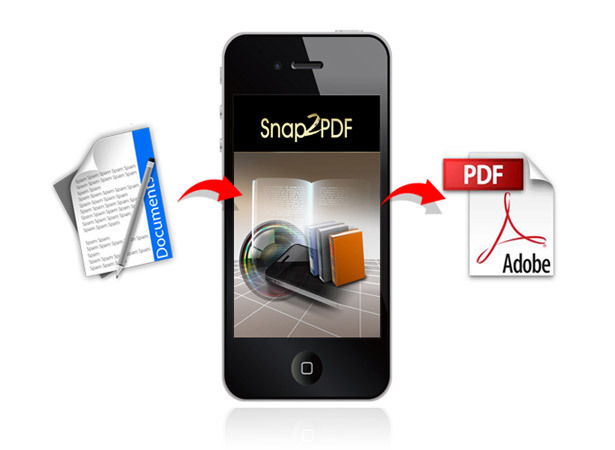 Now they recently launched a new and innovative app that is called Snap2PDF. Its main purpose is to allow users to organize and scan documents so that it is a lot easier to use and carry around in an iPhone. What is interesting is that this is an app that is designed for both personal and business use. It is especially created for those that have many different documents and that need to maintain them. Just like the name implies, in order to make it work, you will need to take a document photo and in just seconds the text is going to be stored in an iPhone compatible PDF format. In the event that you want to store a document of many pages, the scanning process can be continuous. This is an app that can easily scan documents in twenty one different languages. In addition, Snap2PDF will allow gamma correction, image enhancing and image rectification. There is even an included anti-shake module. All this basically means that the clarity that you are going to obtain is high and since the images will be easy to crop with the app, this is definitely something that most people will love. As soon as the document was scanned, you can start organizing your documents based on groups and category. Additional details can be added like description, document name, keywords and categories. Whenever needed, you can change all the values that you initially add. This is extremely useful when you have a really big archive and you are going to need to search for documents. Snap2PDF is capable of organizing the documents that you want and they can be shared through email and uploaded directly to Dropbox. Users stated that they particularly like the user interface because it is really easy to use. Snap2PDF is an application that offers a lot of mobility when referring to documents and it is capable of helping you work a lot faster. Since the documents are also accessible from Dropbox, the app will offer you help through such storage even when the smart phone has been left at home. Penpower Technology LTD managed to launch another app that is tremendous and that can really help businessmen that work a lot with documents and that need help in organizing them properly. Nowadays it is really easy to set up IMAP (Internet Message Access Protocol) on the iPhone but few people actually know how this should be done. This is a service that can offer many different benefits and it is going to offer you the possibility to send and receive emails on any iPhone device. You do not have to necessarily download an extra iPhone app. There are some on the market that can do this with ease but if you do not want to use them, you can configure IMAP manually. This is definitely something of great use for business men or people that simply use the Internet quite often. Keep in mind that you are going to need an email address, the password and the mail domain name before the setup process starts. After you have these details, you are going to have to go to tap on iPhone Mail. An alternative is to visit the Home Screen and then go to Settings. Then you can click on Mail and then on Add Account. The next step is to tap on Other and then tap on Add Mail Account. Users are going to be shown different fields that have to be filled. In the field that says Name you should add your complete name and then enter the full email address like email@domain.com. Add the password and then include a description before clicking the Save Button. In order to set up IMAP, you will have to click on the IMAP button. Then you need to enter incoming mail server address. This is usually under the form mail.domain.com. Next you will need to add your email address in full as a username. The SMTP server is going to usually be the same as the incoming server, the full e-mail as username and the password will be required again. Make sure that you change the settings and you will most likely receive an error message. Click on continue and wait for the iPhone to check the account information. As soon as this is over, click on your new account and then go to Advanced. Make sure that the Use SSL option is turned off and then tap on the “IMAP Path Prefix” button. Put in INBOX in upper case letters. Go back and then click on SMTP and Primary Server. Look for Server Port and enter “25” as a value. Now you should be able to send and receive emails through your iPhone. Why do You Need iPhone Cases? Most people will love the new iPhone but there is a huge problem that needs to be taken into account nowadays. We are referring to the fact that this is a smart phone that can be damaged when you are not attentive to it. It is enough to say the fact that we are in front of a wide touch screen. If it is scratched, there are going to be huge problems. 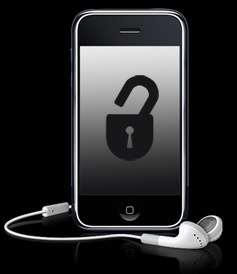 It is highly important to protect this phone, even if it is a lot more resistant than other smart phones on the market. Otherwise, you will find yourself looking for great mobile phone deals again to find a new Iphone. There are many different reasons why you should purchase an iPhone case. The most important one is to protect the phone in the event that you accidentally drop it. The best cases on the market are going to offer such protection. Keep in mind that you should only buy one that includes touch screen protection. Contrary to what you might believe, most of the cases do not offer this. If you really like one and it does not have touch screen protection, you can always opt for an extra accessory to add the protection required. Another reason why you are going to want to buy an iPhone case is that water is going to damage it when it reaches particular components. After all, it is a phone so you need to make sure that you keep it out of touch of water. It is quite common to damage the phone during rain as you do not have a case that protects it from this point of view. Remember that the market is filled with hundreds of different iPhone cases but you need to focus on buying one that will be suitable in your case. For instance, if you know that you drop your smart phone often, it is a very good idea to always buy one that has extra padding. Make sure that you are going to read reviews and learn as much as possible about the iPhone case that you are looking at. Most people will just buy after looking at the price tag. Never do this as you should never compromise on quality. An iPhone case is the best investment that you can make. It will help you to have the phone in working condition for a much longer period of time. When you buy a cheap case, the protection that is offered will be low so make sure that you do not make this mistake. Bluetooth 4.0 was recently launched and the first application that took advantage of the technology is Find My Car Smart. This was launched by Kickstarter and the premise of the app is really simple. Its usefulness is definitely easy to understand by simply looking at the name. It will include a special Bluetooth 4.0 module that is included inside the car. As soon as you are going to park, the iPhone app will be triggered and this is going to mark the vehicle’s location. Such information can be used in order to get back to the vehicle. We are in front of an extremely useful app when thinking about the really big parking lots where it is so easy to end up forgetting where the car is parked. One of the biggest advantages that are offered is the fact that the iPhone app does not need to be switched on all the time as with other apps. You can use it only when needed and the module that is installed inside the vehicle will always pinpoint the location of the car for the smart phone to memorize. You will no longer have to take notes or use location apps that are much more difficult to use. The first thing that you have to do is download the app from the iTunes store. Make sure that the app is allowed to find current location when you do this. Plug the Find My Car Smart Bluetooth device or a compatible device into the car. Make the iPhone 4S pairing and this is one setup process that needs to be done just once. You will love the fact that everything is really fast and the entire process just takes around 1 minute. 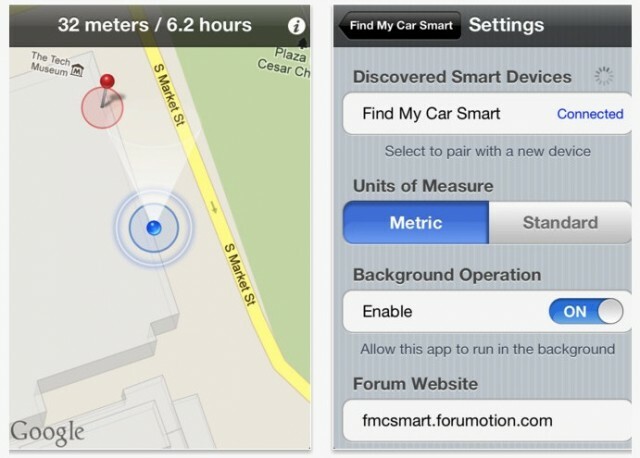 How Does Find My Car Smart Work? It is really easy to understand how this app functions. It will basically make a note of the exact place where you parked the vehicle and include it in the iPhone program. You can easily find it afterwards by following the indications that are included on the phone menu. It is perfect when you forget where the car was parked and the interactive map that is included will be really easy to follow for anyone. Keep in mind that Bluetooth 4.0 is just supported by the iPhone 4S at the moment so you need such a smart phone if you intend to use it. In addition, GPS technology is going to be included. In the event that you played games like Mafia Wars on social networking sites like MySpace or Facebook, there is a huge chance that you will appreciate Crime City. This is a very interesting game that is available for all people that own an iPhone, iPad or iPod Touch. From the first moment that you open the interface you are going to be reminded of Mafia Wars. In this game your goal is to build a crime empire. You will be able to rob other people, complete jobs, complete goals and even build a Mafia of real users. There is also the exact same game available on Facebook right now. You can browse through games that are available on the network and give it a try before trying Crime City on your iPhone. It is basically the same thing. Crime City will offer gamers a ton of interesting features and it is free. The only thing that you can pay money for is an extra purchase of items that are available. This is a game that can only be played online and it is highly sociable. 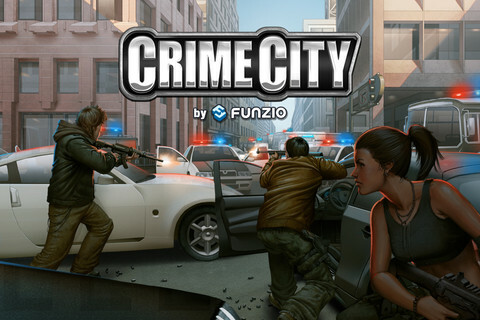 Crime City is a MMOG that is played live. You can rob and fight other players and there are over 150 special cars and weapons that can be bought in game. The player can own one of over 80 real estate properties and there are around 500 different crime jobs and 200 goals that can be complete. This game is quite big with over 60 areas that can be explored, 100 decorations and 60 game center achievements. You can build restaurants, casinos, hotels, beat up people or players, do heists and steal cars. What is interesting with Crime City is the fact that you can invite your friends in order to make the mafia stronger and this is similar to what you can do on the Facebook version. The properties that you build are going to generate income that can be spent on items or other buildings. There is also a story that you can follow and the graphics are actually really attractive. On the whole, Crime City is a very entertaining game that is not at all complicated and will bring in hours of fun with friends. According to all people that tested it, Crime City is currently one of the best games of this type and since it is free, there is absolutely no reason why you should not try it. Take Your Gambling Fun on the Run – Unibet Delivers! Are you thinking about traveling in the near future? Feeling stuck and annoyed because you’re going to have a lot of time to kill in airports and other places? Chances are good that you’re going to have to eventually wait on other people to figure things out. That’s a lot of time tapping your feet, if you ask us. It’s better to make sure that you’re going to be able to actually enjoy yourself no matter where you end up. That’s where mobile gambling comes in. A good mobile casino gives you the chance to have fun and even win some money. No, no, it’s not a given that you’re going to win. If it were, it would take the fun out of it. It’s all about luck and maybe even a little skill depending on what you decide to play. It would make a lot more sense not to worry too terribly much about all of the hassle that you’ve experienced in the past. It’s about finding a great place to play, right here and right now. May we make a suggestion? If you’re looking for a great mobile casino, you definitely want to check out Unibet. They are a great casino that can really give you something interesting to do. It’s all about the full experience at Unibet, because they know that it’s the experience they provide that truly gets people to come back over and over again. You just need to make sure that you’re going to be able to get the platform right. A mobile casino makes sure that you can look things up on your phone with ease. After all, you don’t want to be trying to win a hand of poker and the system goes out on you, right? Right. You also get to meet other people. Sometimes when we have lots of free time with no one to spend it with, we go absolutely nuts. It’s better to make sure that you’re thinking about the road ahead from a different perspective — it’s all about you. It’s about your entertainment, your pleasure, and your happiness. 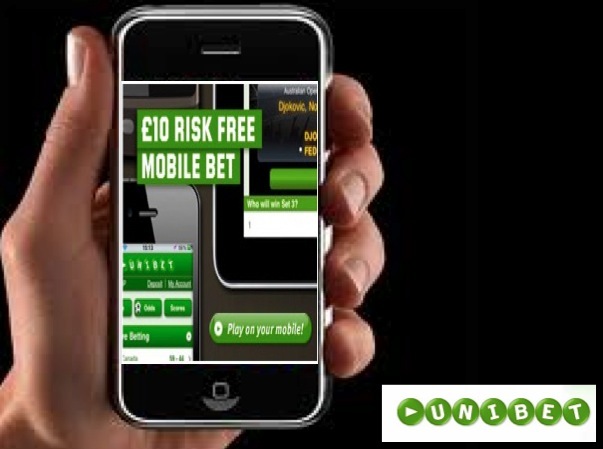 Take a chance and see what the Unibet mobile experience is really like. You’ll get some bonus money to get you started, and you’ll have plenty of different games to choose form. Will you get lucky enough to win? Well, you never know until you find out on your own. Good luck!